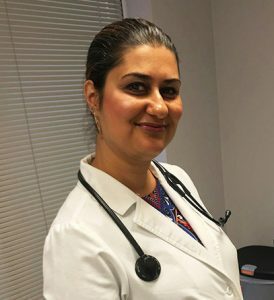 Azin Raouf, RN, FNP, is a certified Family Nurse Practitioner. For over a decade, she practiced as a Registered Nurse in hospitals in Maine and Northern Virginia. In 2016, Azin received her Master’s in Family Nurse Practice from St. Joseph’s College of Maine. She is fluent in Farsi.